Children from migrant families are often seen left out of schools, mainly due to their frequently changing living conditions. We, at Door Step School, try to identify practical difficulties of this section in the society. Different solutions are offered to handle community-specific challenges. It takes considerable time to gain trust of the parents. But once it is achieved, the results are very satisfactory and motivating. One of our projects focuses on parents' participation in their child's education. 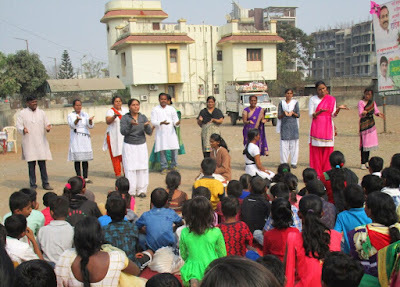 We have been working in Baner-Balewadi area with certain groups of migrant families. After repeated visits to their houses and rigorous follow-up meetings, we could convince and help most of the parents in sending their children to schools. But the job is not over just with school admissions. A bigger challenge is to retain the children in schools despite language differences, daily commuting issues, mixed responses from the schools, and such other barriers. We are happy with the results so far in case of these families from Baner-Balewadi area. We decided to arrange a gathering for these people as a follow-up meet on larger scale. 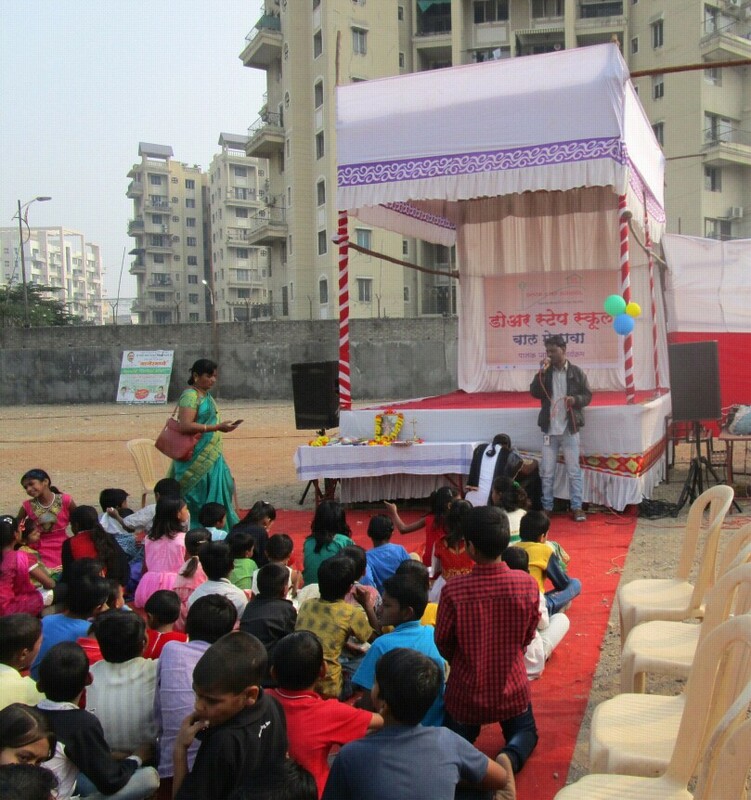 A fun-fair was thus organized on 15th of January 2017, at an open ground in Baner. A small stage was set up for children to dance and play. Door Step School team presented street play on importance of education. Basic sanitation points were discussed with parents and children under WASH activity. All the attendees enjoyed fun activities as well as special snacks items arranged at the fair. Our team was very well supported by enthusiastic group of volunteers from Wipro, Hinjawadi. 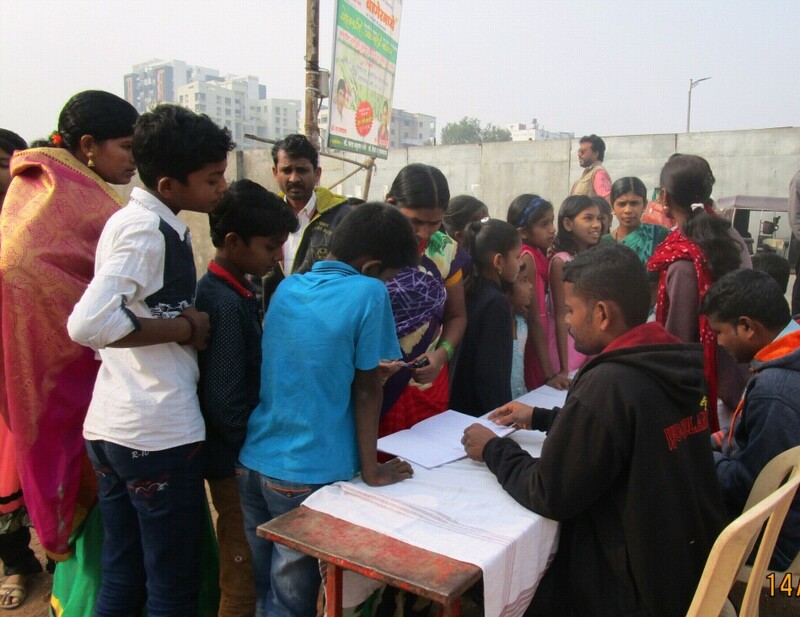 They helped us in conducting various activities for parents and children. Local Municipal Corporator Mr. Baburao Chandere and social worker Mr. Lahu Balwadkar helped us in arranging the venue. They visited the fun fair for inauguration. Around 80 parents and 180 children attended the fun fair. These parents have come to Pune in search of employment, from remote villages in Maharashtra as well as other states like Bihar, Karnataka, and Chhattisgarh. They live around Baner, Balewadi, Pimple Nilakh areas and work on construction sites or other such places on daily wages. The team has been working with them since almost an year now. Most of the children have been enrolled in nearby government schools and all efforts are being taken to retain them there until the families migrate to another location within or outside the city. From the Streets to the Stage!